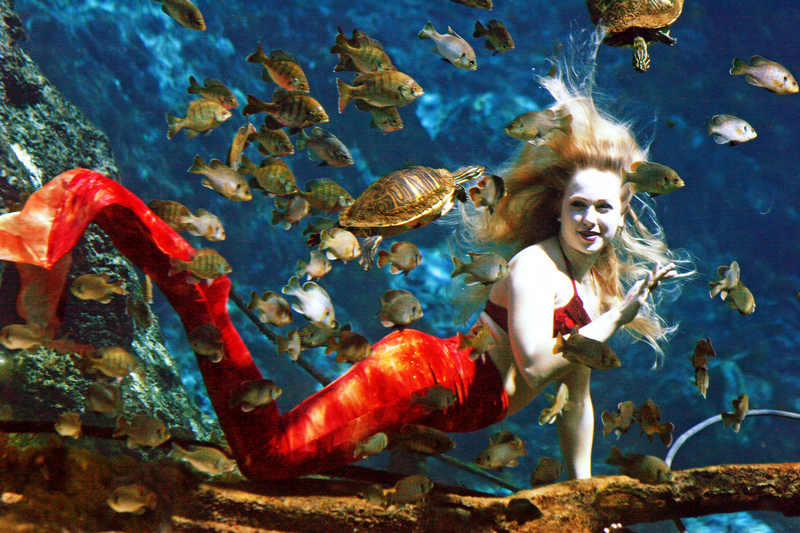 NEWPORT, Ky. – For the first time in the Midwest, the world-famous Weeki Wachee Mermaids will entertain Newport Aquarium guests Oct. 10-19. Free with Newport Aquarium admission, guests will be able to view a real-life mermaid, clad in a colorful fish-tailed costume, swimming underwater from 11 a.m. until 4 p.m. each day. The mermaids will dive in the aquarium’s 60,000-gallon Coral Reef exhibit that features nearly 200 aquatic animals and more than 50 species of fish. Guests will also be able to personally meet and talk with a mermaid, as well as have their pictures taken in the aquarium’s Shark Ray Bay Theater from 11 a.m. to 1 p.m. and 2 to 4 p.m. each day. Additional mermaid encounters at Newport Aquarium will be available throughout the 10-day engagement, including a mermaid-themed Overnight Adventure and Breakfast with a Mermaid. Tickets are limited and details on how to purchase tickets are available on the Newport Aquarium website, NewportAquarium.com. Click here for more information on Weeki Wachee Mermaids at Newport Aquarium, or call toll free 800-406-FISH (3474). This entry was posted in Mermaids and tagged mermaids, newport aquarium, Weeki Wachee Mermaids by NewportAquarium. Bookmark the permalink.